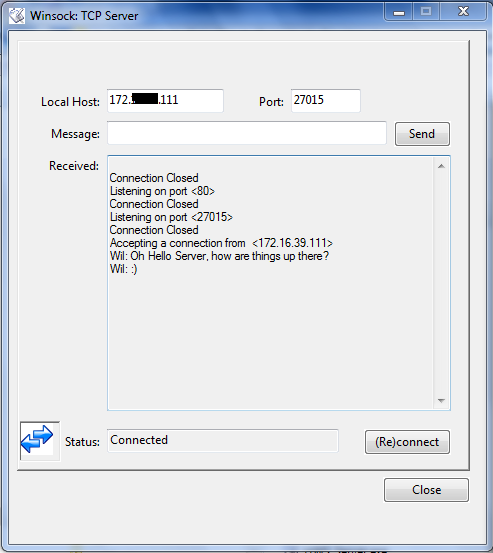 This little project displays how you can communicate over TCP/IP via Visual DataFlex. 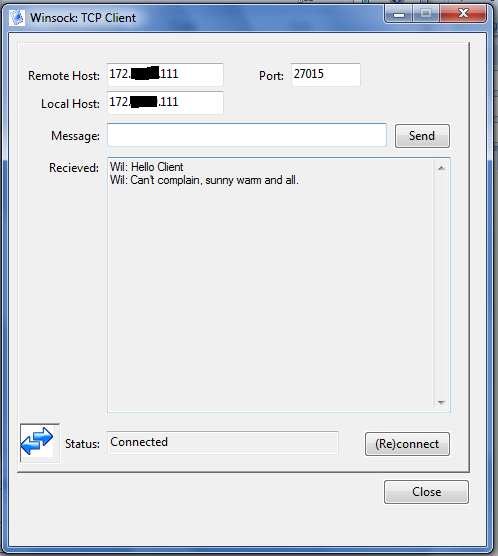 Some time ago i was contacted by Microbase from Melbourne to set up a tcp/ip communication link from his application - written in VDF - to a third party application in order to extend functionality and communicate with an SMS gateway. There was a couple of ways to connect to the gateway, but we decided that it would be perfect if we could use the tcpip route. Now we had to make up our minds if we were going to do this the hard way - using a DLL interface - or the easy way, by using COM. A choice easily made, as activeX is reasonably well implemented in VDF these days. The included example down here is what was used as the bases for the control build at the time. Then after a while ... i attended the scanduc and was asked to present "something". So... this is what i presented and the powerpoint presentation from that time is included in the zipfile. Requirements: A valid developers license for the ms winsock client. This comes for ex. with MS Visual Studio 6. (re)generate the compackage (or edit the licensekey property in the cComWinsock.pkg file). In order to be able to use the activeX control which is used in here, you do need a MS license for Visual Studio or similar product. The generated wrapper pkg contains the license key. The supplied package has these lines removed, so you'll need to regenerate those yourself. The example also contains executables (vdf11 ?) which should work out of the box and can be used to test with.